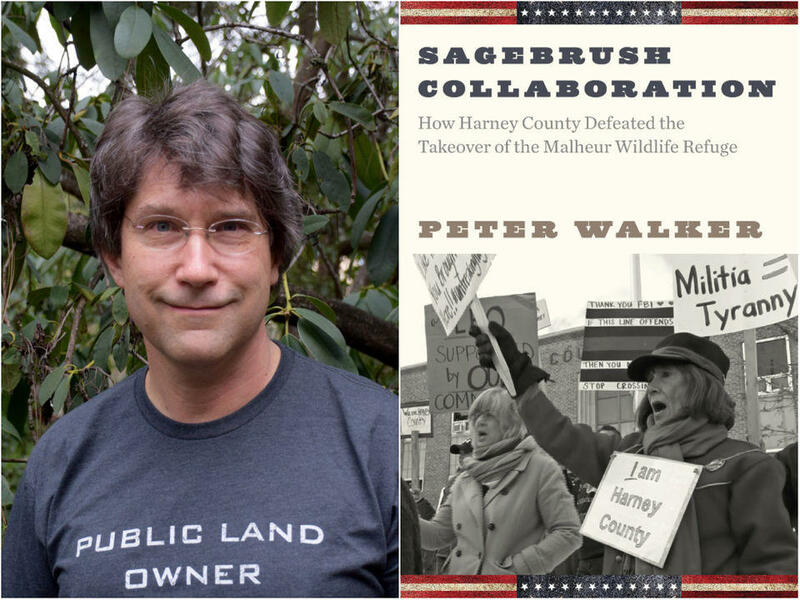 Peter Walker and his book, "Sagebrush Collaboration: How Harney County Defeated the Takeover of the Malheur Wildlife Refuge." Every American is co-owner of the most magnificent estate in the world—federal public forests, grazing lands, monuments, national parks, wildlife refuges, and other public places. The writer Wallace Stegner famously referred to public lands as “America’s best idea,” but there have always been some who oppose the idea for ideological reasons, or because they have a vested economic interest. In the current decade, federal public lands have been under physical threat as never before, with armed standoffs and takeovers that the US government has proved stunningly unsuccessful at prosecuting in federal courts. One such incident was the takeover of the Malheur National Wildlife Refuge in Harney County, Oregon, in 2016. Armed militants seized the headquarters of the refuge for forty-one days and occupied the community for three months. Militants threatened and harassed local residents, pledging to “give back” the land to unnamed “rightful owners” in their effort to enact a fringe interpretation of the US Constitution. Peter Walker on Access Utah. Drawing on more than two years of intensive fieldwork, Sagebrush Collaboration shows that the militants failed in their objectives because the sensible and hardworking citizens of Harney County had invested decades in collaboratively solving the very problems that the militia used to justify their anti–federal government revolution. In Sagebrush Collaboration, Peter Walker offers the first book-length study of why the 2016 takeover of the Malheur National Wildlife Refuge failed. His nuanced and deeply researched account provides the full context for the takeover, including the response from local and federal officials and the grassroots community resistance. It will be essential reading for years to come for anyone who wants to understand the ongoing battle over the future of America’s public lands. At its heart, it’s a battle for homeland and sovereignty. Bears Ears, a remote section of land characterized by its distinctive red cliffs and abundance of juniper and sage, is at the center of a fight over who has a say in how Western landscapes are protected and managed. “Battle Over Bears Ears,” a new documentary film, explores the deep connections to place and the vast cultural divides that are fueling the fight over how the Bears Ears Monument is protected and managed. Whose voices are heard, whose are lost, and how do all sides find common ground in this uncommon place?